With my graduation coming in a few months, now is the time to really take advantage of living in New York City. Although my blog's main focus is on budgeting, shopping, and the like from the perspective of someone trying to live by more minimalist principles, I also want to talk about other aspects of my life from time to time. Here are some of my outings from the last few weeks. K and I went to a Malaysian restaurant in Elmhurst, Queens that is aptly named Taste Good. It is a fairly busy hole in the wall, and I loved each of the dishes we ordered (curry laksa, char kway teoy, chicken satay, and roti canai). Admittedly, I don't know much about Malaysian cuisine, but K is more knowledgeable and was a big fan of the restaurant. Katzenzungen, or "cat tongue" chocolates... I didn't actually try them. Though I am sure they are good. There is also a branch of the Hong Kong Supermarket chain right near the restaurant and the subway stop. I have shopped at both the Chinatown branch and the Elmhurst one recently. While the Chinatown one has broader selection, it can be really crowded and a bit stressful to shop at as a result. I finally had the chance to stop by Bao Haus, the restaurant owned by Eddie Huang, author of the memoir Fresh Off the Boat, which is being adapted into a sitcom of the same name. It was one of those places that K and I always passed by on the way to or from another restaurant. We always thought about going, but never did until now. The "Chairman Bao" contains red-cooked pork, peanuts, and pickled mustard greens. Overall, I personally like this style of pork bun better than the one at the Momofuku restaurants. Some friends and I bought tickets to the Matilda musical during a recent 2-for-1 Broadway promotion. I loved the show, though some of my friends thought the pacing was a bit slow and found some of the story changes from from the book to be very strange. Some of the jokes the characters make throughout the show are quite grown-up, but I guess those jokes probably go straight over the heads of the (many) children in the audience. The Miss Trunchbull character is hilarious. Finally, I've read two novels recently that I would highly recommend. 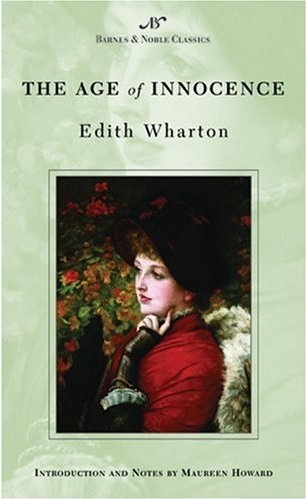 I don't generally gravitate towards novels that are "classics" or that would be at home in a high school class reading list, but I really enjoyed The Age of Innocence by Edith Wharton. 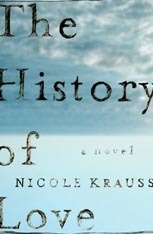 The History of Love by Nicole Krauss is also very good and is beautifully written. The story is quite sad, though, and that becomes clear within the first dozen pages or so.